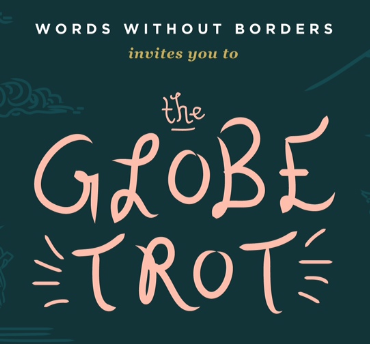 The Words without Borders (WWB) Globe Trot is a celebration of international literature to be held on Tuesday, October 28, 2014 from 8:30pm to 11:00pm at Tribeca Three-Sixty, located at 10 Desbrosses Street, New York, New York. The event is presented by the WWB Young Publishers Committee. Brooklyn-based Virgin-Islander Tiphanie Yanique is one of the writers co-hosting the event [see previous posts The Book We’re Talking About: ‘Land of Love And Drowning’ By Tiphanie Yanique, Caribbean Literature: “The Saving Work” by Tiphanie Yanique, and New Book: Tiphanie Yanique’s How to Escape from a Leper Colony] along with Rivka Galchen, Dinaw Mengestu, Jess Row, and Téa Obreht. With refreshments from Grey Goose, Brooklyn Brewery, Baked, Momofuku Milkbar, FIKA, and Harlem Floridita; there will be music from DJs Ryan Chapman, Jason Diamond, and Dave Sharma; and door prizes from Phaidon, McNally Jackson, and Momofuku.